Create an enviable style for your boy by suggesting that he go for a Ralph Lauren cotton v neck cardigan from Ralph Lauren and tan trousers. This ensemble is complemented really well with grey sneakers. 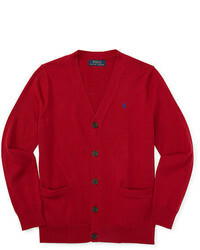 Reach for a Ralph Lauren cotton v neck cardigan and blue jeans for your little guy to create a neat, stylish look. 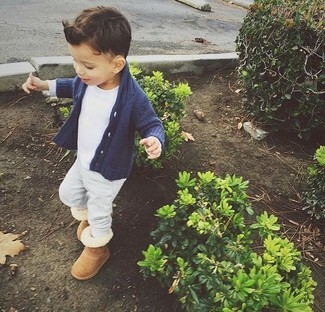 As far as footwear is concerned, suggest that your little guy throw in a pair of white sneakers. 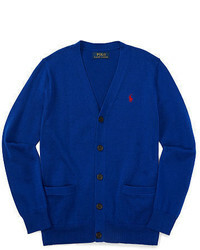 Suggest that your tot wear a Ralph Lauren cotton v neck cardigan from Ralph Lauren with beige sweatpants for a comfy outfit. 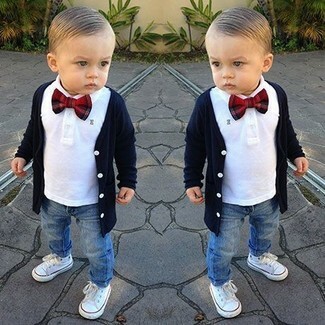 Suggest that your little one dress in a Ralph Lauren cotton v neck cardigan and charcoal sweatpants for a laid-back yet fashion-forward outfit. This style is complemented brilliantly with charcoal sneakers. 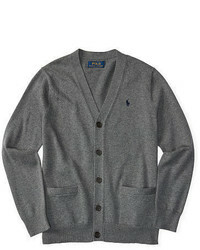 Choose a Ralph Lauren cotton v neck cardigan from Ralph Lauren and grey sweatpants for your darling for a fun day in the park. Tan uggs are a nice choice to complement this getup. 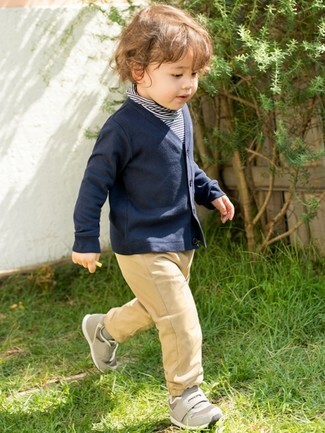 Teach your munchkin to take pride in his appearance by suggesting that he reach for a Ralph Lauren cotton v neck cardigan from Ralph Lauren and tan trousers. Complement this outfit with grey sneakers.